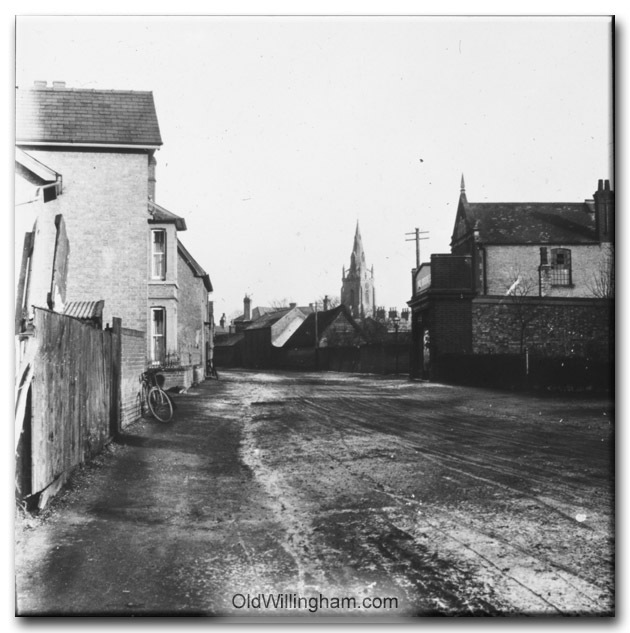 This month we see a picture of the High St., probably about 70 years ago. There are no pavements and the road looks treacherous and icy. The Public Hall can be seen on the right and the shop in front of it is most likely Haines grocery store, built about 1920 after the previous building on that site burned down. I once commented to an old resident that the roads must have been very muddy in winter to which he replied that the real problem came in summer since milking cows would be driven through daily and there was no “clear up after your pet scheme.” Imagine the flies!